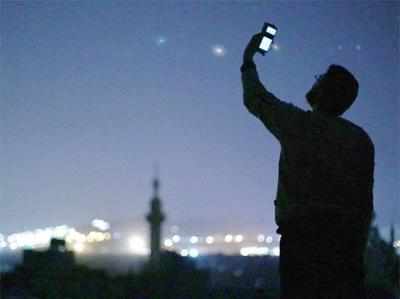 The Supreme Court on Thursday agreed to hear a plea of Cellular Operators’ Association of India to exempt telecom firms from paying compensation to consumers for call drops but asked why the companies were not fixing the problem. The association approached the court challenging the Delhi high court order which had upheld Telecom Regulatory Authority of India’s (Trai) decision of October last year that made cellphone service providers liable to compensate consumers for dropped calls. Appearing before a bench headed by Chief Justice T S Thakur, senior advocate Kapil Sibal mentioned the case and pleaded for an urgent hearing saying that the telecom companies had to pay crores of rupees to consumer as compensation which would adversely affect their operation. “Why don’t you correct your system itself so that you won’t have to pay compensation?” the bench asked while posting the case for Friday. Trai had on October 16, 2015 said that every originating service provider (providing cellular mobile telephone service) was liable to credit the calling consumer (a consumer who initiates a voice call) by one rupee for each call drop within its network for a maximum of three call drops per day. The telcom companies claimed that the additional compensation would cost the companies Rs 54,000 crore a year. The association had first challenged Trai’s decision before the Delhi high court which dismissed its plea on February 29. “Petitioners are bound to comply with regulation 16 of the Telecom Consumers Protection Regulations, 2012, as inserted by the impugned notification dated 16.10.2015, with effect from 01.01.2016 and Trai is at liberty to take appropriate steps in accordance with law for compliance of the same,” the HC had said.